A man carrying a gun and a hatchet threatened staff at Rush post office. 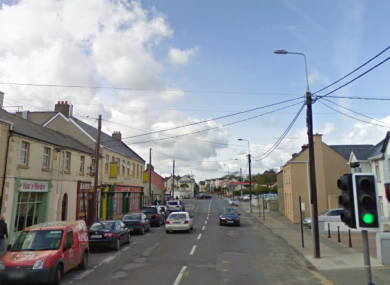 A 30-YEAR-OLD man who was arrested after an attempted armed robbery at a post office in north county Dublin earlier is due to appear in court tomorrow. The incident happened at around 10.30am today, when a man carrying a gun and a hatchet entered Rush Post Office. The man, who was wearing a balaclava, threatened staff and demanded money, but did not get access to the secure area where the money was kept. He left without taking anything from the post office, and fled in a red Ford Fiesta. Soon afterwards, gardaí from Balbriggan and Swords stopped a red Ford Fiesta on the M1 motorway and arrested a 30-year-old man. A gun and a hatchet were found in the car when it was searched by gardaí. The man is currently being held at Balbriggan garda station. He is due to appear at Swords District Court at 10.30am tomorrow. The investigation is ongoing, and gardaí have asked for anyone with information to contact Balbriggan garda station. Email “Man arrested after attempted armed robbery involving a hatchet at a Dublin post office ”. Feedback on “Man arrested after attempted armed robbery involving a hatchet at a Dublin post office ”.